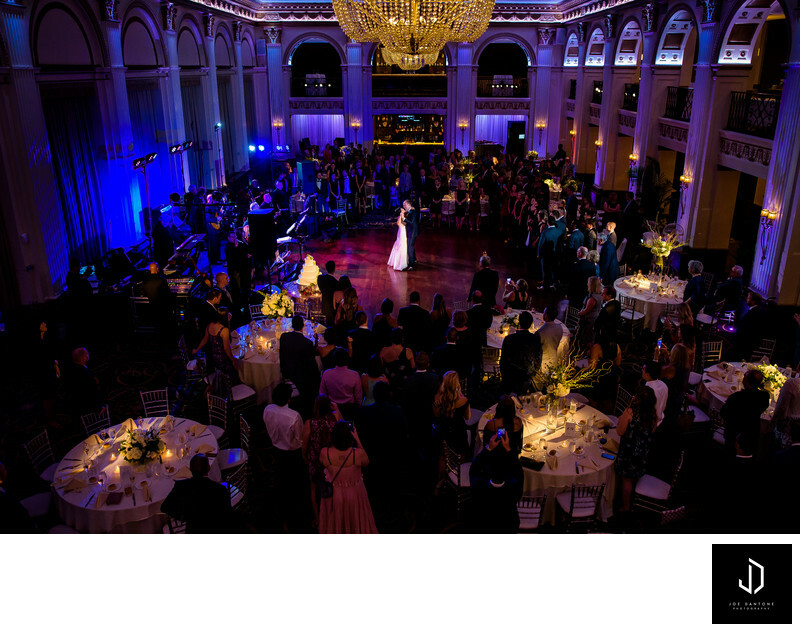 Philadelphia Wedding Venue, Ballroom at the Ben, is owned by Philadelphia Wedding Event Group, Finley Catering. They own multiple venues, but this one in particular is one of my favorite. Here is just a quick overview of the venue location. Perfectly situated in the heart of Philadelphia. 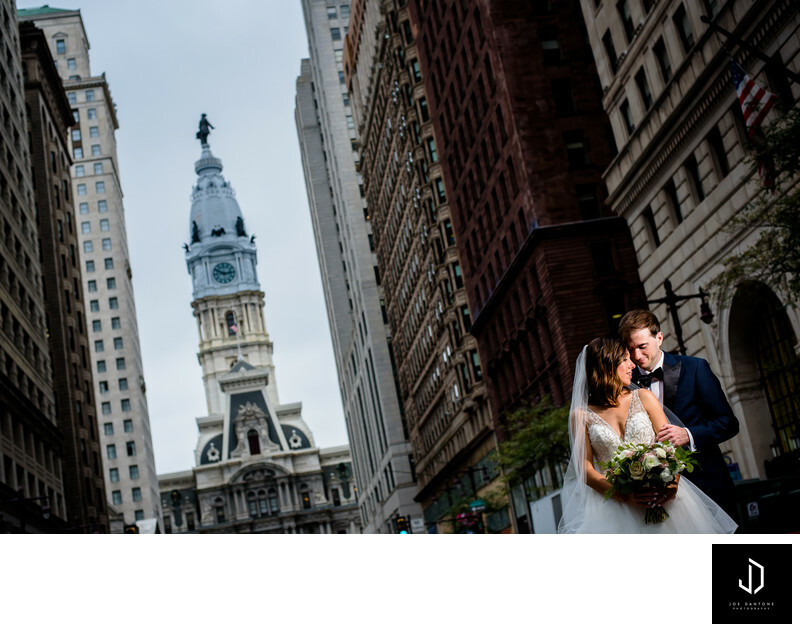 You are a few blocks away from Broad Street with a view of Philadelphia's iconic City Hall, and also a few blocks away from the Historic Old City. 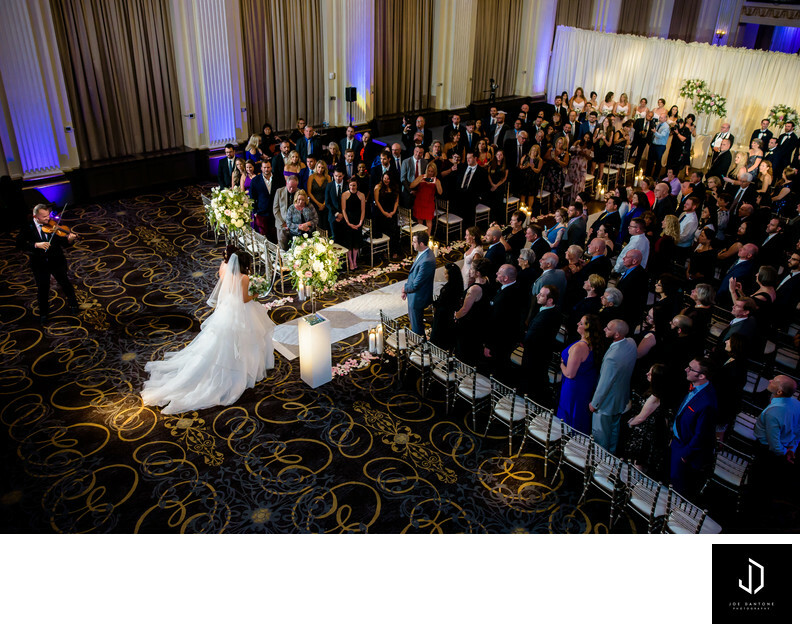 If you choose to have your ceremony here, there is so much space available that half of the ballroom can be set up as a ceremony site without you even realizing that you are in the ballroom. The staff has a way of setting the space up to make you feel like you are in a totally different space. 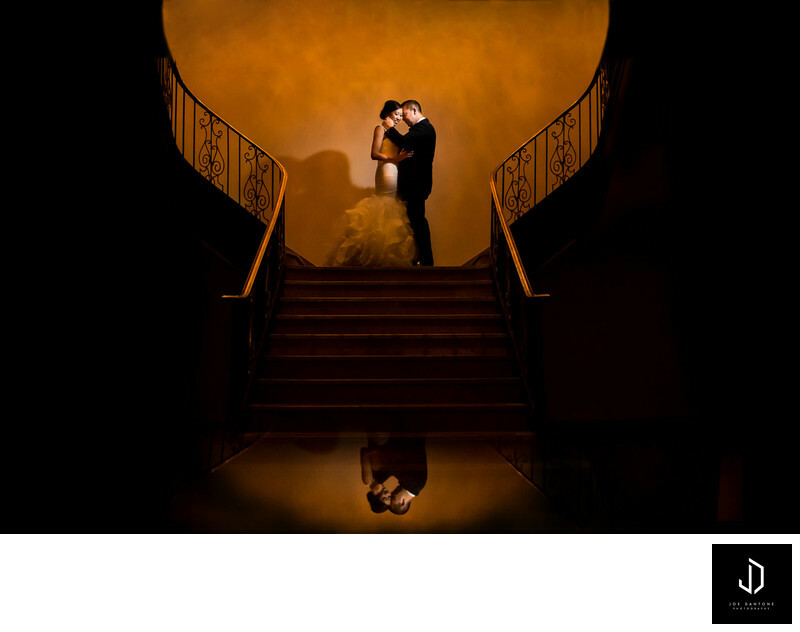 After the Ceremony the guests will walk up the sprawling staircase to the mezzanine level of the venue. Up the grand staircase is the mezzanine level. Here is where cocktail hour is usually held for the guests. It also features two smaller bars on either side which minimizes the wait time for guests to get their drinks. Lining the walls of the mezzanine level are the countless stations of food where guests can help themselves to anything from seafood and meats, to pastas, vegetables, and finger foods. If you look over the edge of the railing down below you can view the grand ballroom as a whole. It is breathtaking. Once cocktail hour is finished, you are guided down the grand staircase into the massive Philadelphia Ballroom. 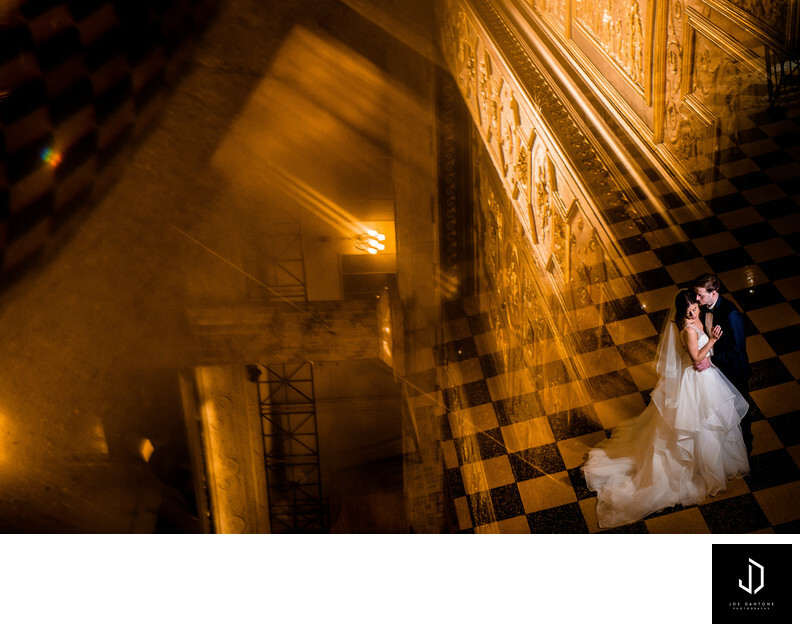 Once you enter the ballroom, it opens up to massive ceilings with a beautiful chandelier and incredible architecture. 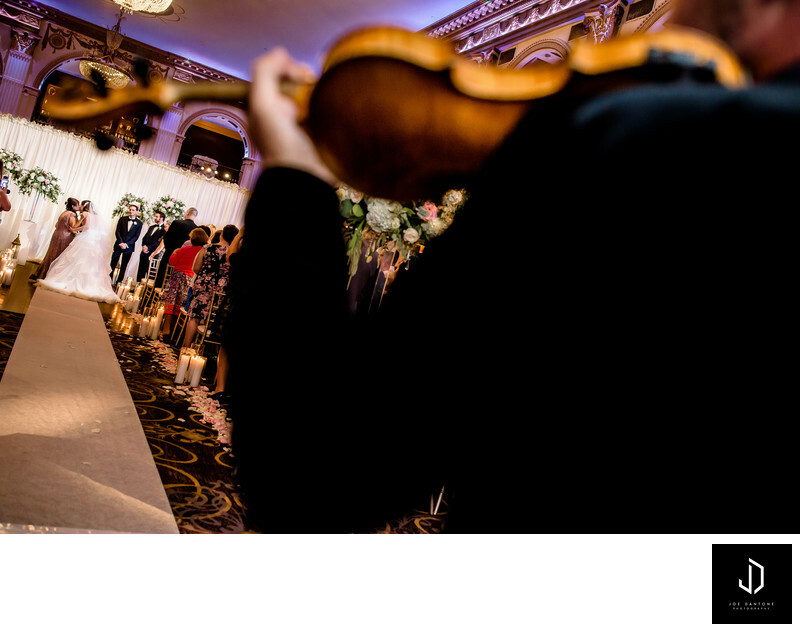 You are surrounded by massive arches which open up to the mezzanine level of this Philadelphia Wedding Ballroom. On either side of the first floor you have 2 over-sized bars where guests can grab their cocktails. This is a great feature because very rarely will you have to wait a while for a drink. Just outside the doors of the ballroom you will find the bridal suite and a nice area where guests can walk out to a terrace to overlook Chestnut Street. 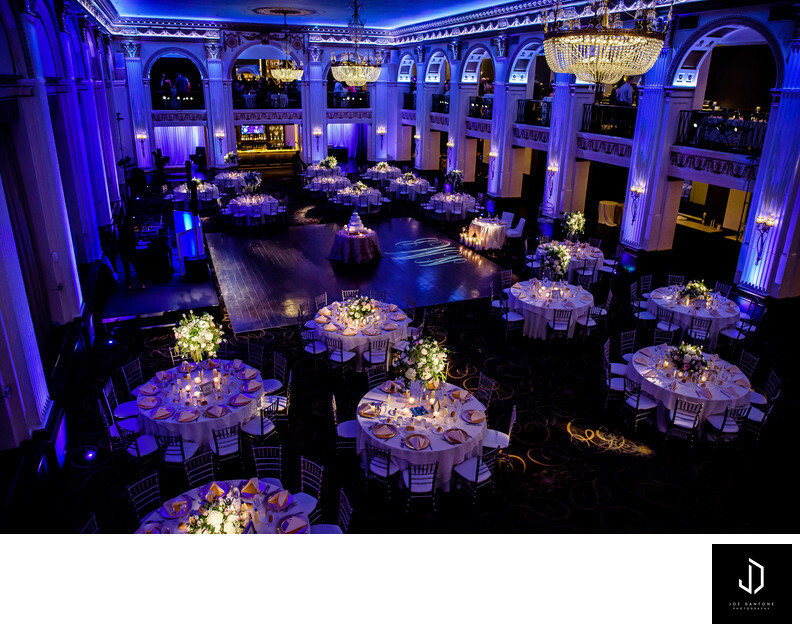 If you are getting married in Philadelphia especially here at Ballroom at the Ben, I'd love to chat further. 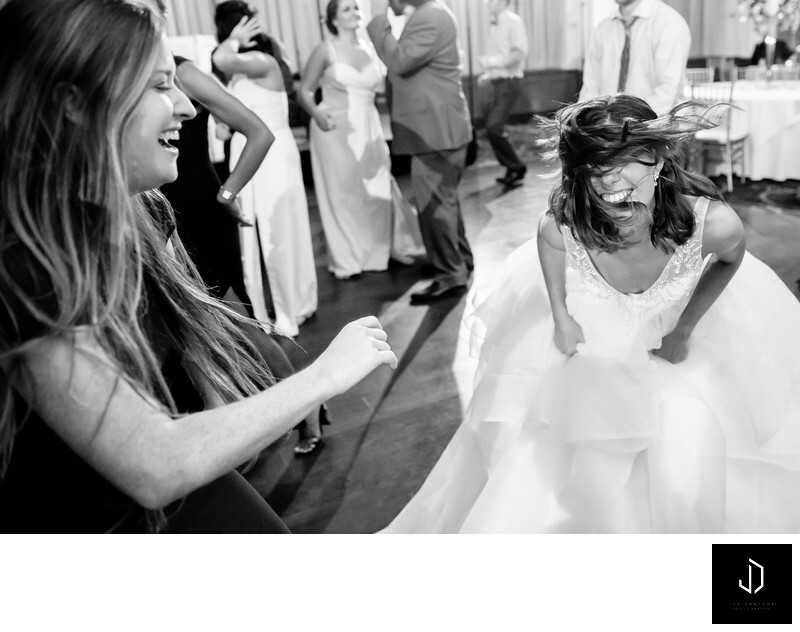 Joe Dantone Photography has photographed multiple events at Ballroom at the Ben and other Finley Catering wedding venues. Contact Me Here and I'd love to hear more about the big day you have planned!